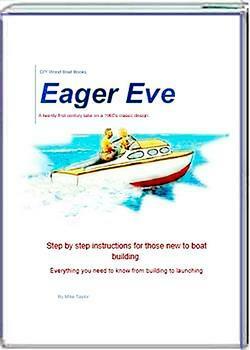 Build a Boat, tips for the DIY Wooden Boat Builder. 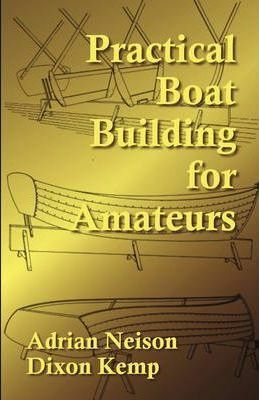 How to Build a Boat using wood, one of the most beautiful and satisfying of materials for the DIY, backyard, builder to use. 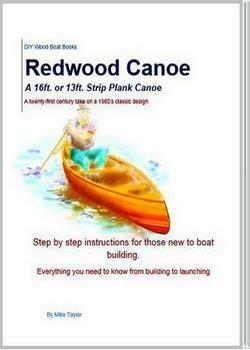 If you want to build a boat from wood the first thing to consider are the various construction methods. Next consider where you are going to do the building. If you are planning to build her in your back yard, will you have enough room to work on her? Will you be able to get her out when she is finished? Might your neighbours object when that that fifty-foot super yacht towers above the fence? There are still a few boat yards were self-builders can rent enough hard standing to build a boat but they are becoming rare. Or Tell us about Your Boat? Wherever you plan to build make sure you don’t fall foul of the dreaded insurance wallahs and the health and safety bureaucrats. Unfortunately you will also have to consider the cost. 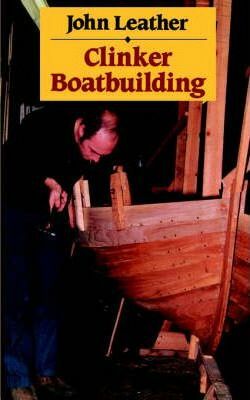 Building from scratch while cheaper than having a boat built by professionals is not a cheap option. Finding somewhere to work on your own boat, without bureaucratic interference, is becoming increasingly difficult. If you know of a Marina, Boat Yards or ther facility that is Wooden Boat Friendly please let us know. You might be able to reduce the cost by using reclaimed timber. 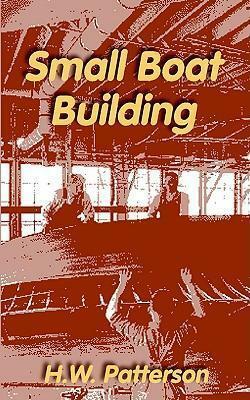 However, it is false economy to build a boat from substandard materials. Apart from the hassle of having to replace stuff later, you might be putting your life and the life of your crews in danger. On the up side you will be able to spread much of the cost out over the length of the project. and have somewhere suitable to store the materials. Unless you are a naval architect you must have suitable plans. Don’t even start to build a boat without, you can however use the 'Diagonal Scale' to copy dimentions from a photograph or illustration. There are innumerable designers willing to sell you plans and many free ones to be found online. But before buying try to have a look at a finished version. You may find that what looks pretty in a line drawing looks hideous in reality and vice versa. If you are looking for a Wooden Boat or Boat Bits or you have any Boats or Bits to sell. Visit The Exchange. Carvel Planking is the traditional method where planks are affixed edge to edge on to an underlying framework. The frame determines the hull shape. It consists of the keel and the stem and stern posts, with a ‘ribcage’ of vertical frames. Horizontal ribbands are used to hold the frames in place until planks are fitted. Planks, butting up against each other are fastened to the frames, using nails, screws, or rivets. 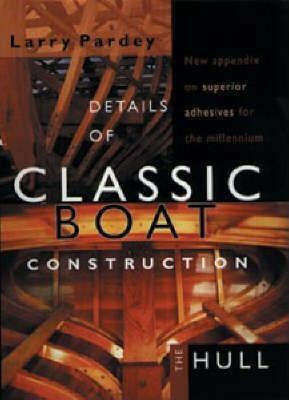 The hull is then caulked, usually with cotton, or oakum and a caulking compound which seals the seams. It is easier to repair than some of the other construction methods. Lapstrake/Clinker is the method of wooden boat building where the planks overlap rather than butting each other. While an underlying back bone is needed, the framing can be done after the planking and ribbands may not be needed. The planks are fastened with rivets, clench nailsor glue where they overlap, resulting in a hull of considerable strength. The tight fit between planks is traditionally sufficient to keep it watertight however, sealants and even glue can be used to build a boat. Plywood is increasingly being used to create beautifully strong lapstrake hulls. The usual method is to use epoxy to bond the plywood planks. 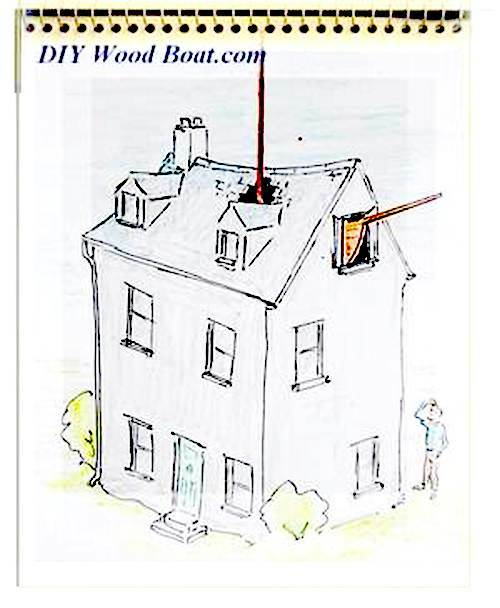 This can result in a superb low maintenance wooden boat. Repairs are not as simple as on carvel hulls due to the planks overlapping and because the fit of the planks is more critical. Strip Planking is basically carvel but using narrow strips of wood instead of planks. Nowadays the strips are normally glued together with epoxy, though they can be nailed. The backbone and frames can be built up from laminations with inner and outer stems to simplify construction. The strips are usually bought ready machined with a concave grove on the top and convex on the bottom or with a tongue and groove. Not easy to repair due to the strips being fastened together. New patches may have to be scarfed into or laminated on to the existing boat hull. Build a Boat by Stitching and Gluing. Epoxy Resins contain Bisphenol A. Before using epoxies you should consider the flood of new scientific evidence on adverse effects of BPA. Builders of wooden boats have been stitching planks together since time immemorial. But it is since the development of epoxy resins that the method has become so successful for the self builder. The usual practice was to stitch the panels together using wire but many builders now use plastic cable ties. A word of warning on epoxies. Many years ago I was considering a large stitch and glue/epoxy project. Fortunately, I decided to try a small version first, that was when I discovered that I was allergic to extended exposure to epoxies. I did persevere and build the dinghy because I had bought the materials. She turned out extremely well but if I had plunged straight into that larger project I would have had problems. There are a multitude of designs and plans available for stitch and glue building. 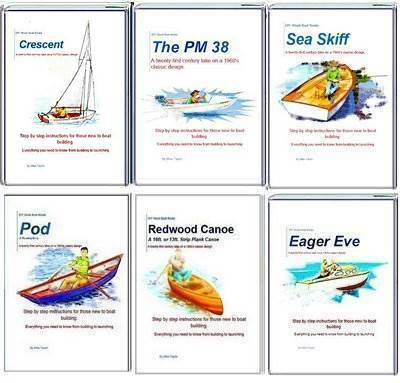 Everything from simple pram dinghies to sea going cruisers have been successfully built this way. The advantage for the home builder is that lofting, setting up and framing are minimal, making them much faster and easier to build. It is always best to use good quality marine grade plywood and it does need to be properly sealed with epoxy. It is normal for these boats to be sheathed with fiberglass cloth and epoxy resin. Plywood repairs are relatively easy. Damaged areas can be cut back and new plywood scarfed in using epoxy. Before stitch and glue method to build a boat became popular, plywood boats were often made by constructing a framework which was then sheathed with plywood. The plywood would be affixed to the frames using a variety of methods such as glue, screws and even nails, nowadays it is normal to use epoxy. The normal design shape is hard chine, either flat or ‘V’ bottomed. As with stitch and glue, it is always best to build a boat from good quality marine grade plywood and it does need to be properly sealed with epoxy. Usually these also are sheathed with fiberglass cloth and epoxy resin. Damaged areas can be cut back and new plywood scarfed or butted in using epoxy. Have a look at the Project Boats being built by Andrew in Tasmania and Eddie in Ireland. 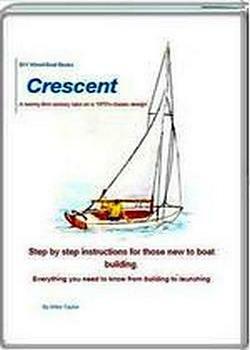 160 page, step by step instructions for building Crescent using modern plywood building techniques and materials. 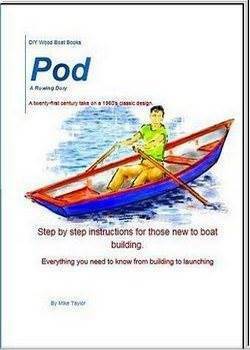 92 page, step by step instructions for building the Sea Midge, pram dinghy, using modern plywood building techniques and materials. 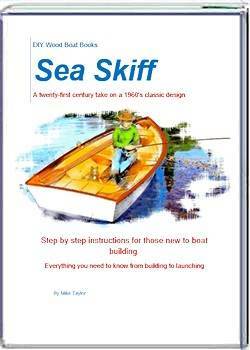 110 page, step by step instructions for building the Sea Skiff using modern plywood building techniques and materials. 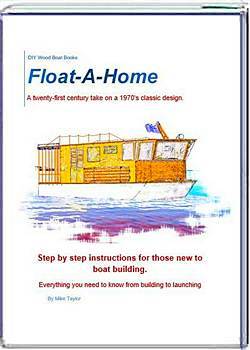 94 page, step by step instructions for building the "Float a Home" shanty boat using modern plywood building techniques and materials. 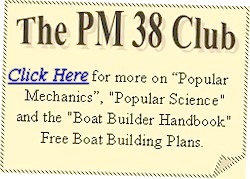 Cold molding is fairly uncommon way to build a boat theses days. Basically it is a method where a minimum of two layers of thin plywood or veneer are laminated on top of each other. The layers running in different directions usually at 45 degrees to each other, the most common being double diagonal. This does produce a strong monoque boat structure. However this method does require an underlying structure on which to lay the strips. The usual method is to construct a mold first or lay the strips on a strip planked former. The extra work involved in making the mold makes it an unattractive self build option.